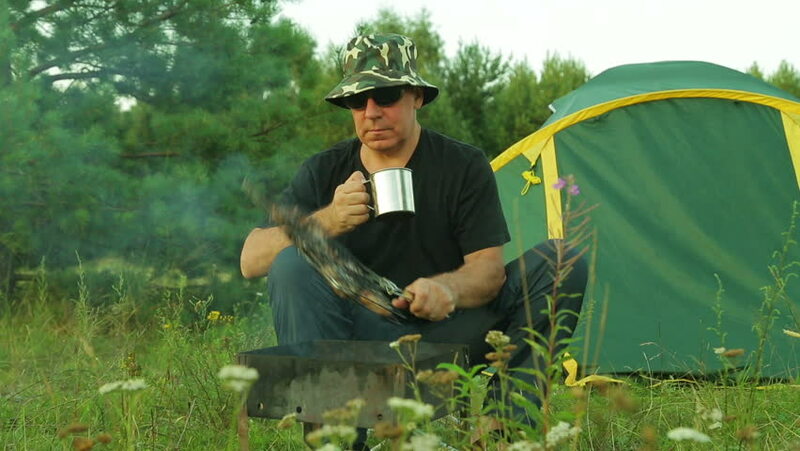 A man near the tent, drinking tea and turning the meat on the grill. hd00:06The man drinks tea and watches the meat grilling on the grill. hd00:12A man sits by the tent, drinks tea and turns the meat on the grill. hd00:11A young woman near the tent fries the meat on the coals and drinks tea. hd00:11A man and a woman near the tent eat grilled meat.